Not every Amish Friendship Bread adaption works out. You take a recipe you love and give it an Amish Friendship Bread spin, and sometimes it works out and sometimes it doesn’t. I think what’s worse is when it works out for some people and not for others, which in my book counts as a fail because consistency is kind of important in the kitchen. There’s nothing more frustrating than trying to figure out if it’s the recipe or you that got it wrong. 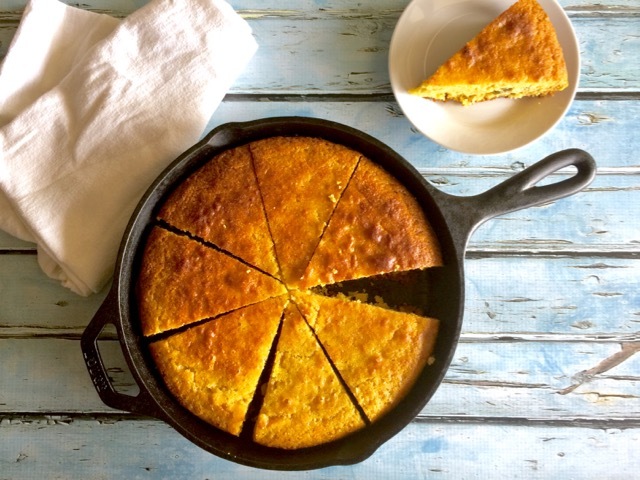 This original cornbread variation came out in April 2011, and it was exactly that — a hit and miss. I meant to give it another try but new recipes kept taking over and I actually forgot about it. 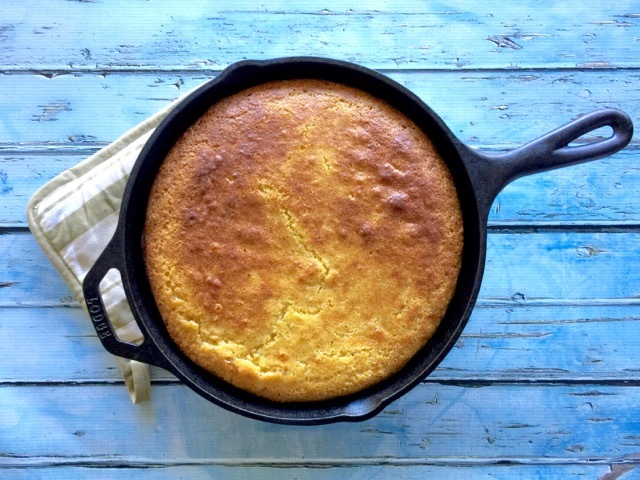 With the publication of my latest cookbook, Amish Friendship Bread Recipes With a Twist, I knew I wanted to include a cornbread recipe but the old recipe obviously had to go. 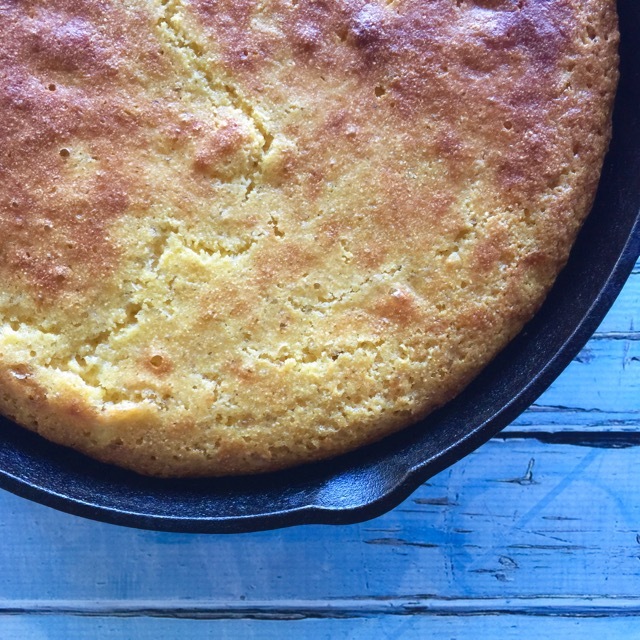 So last week I hit the kitchen and put everything I learned these past few years to work and came up with an Amish Friendship Bread cornbread recipe that I think you’re going to love. Not only that, this version is faster, easier, and the end result is amazing. 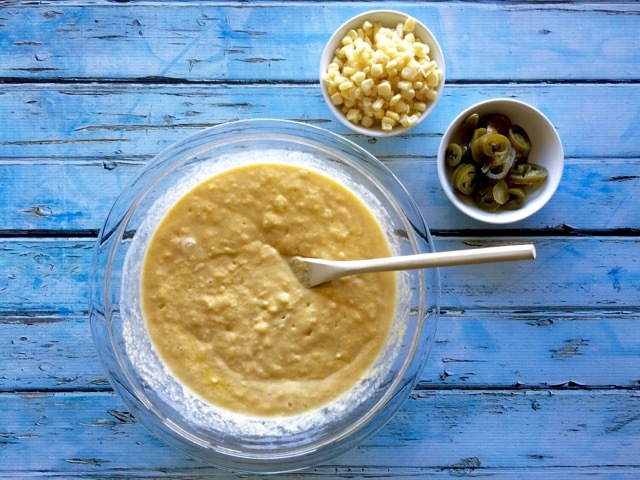 You can make your cornbread plain or dress it up with fresh corn kernels, cheese, or sliced jalapeños. I made it for my family so I went with corn (organic frozen), jalapeños (on half of the cornbread since two of my kids don’t like spicy stuff), and picked up some buttermilk (regular milk works well, too). It was one of those scenarios when you know you have something really good but there’s no time to wait for it to cool down because you absolutely must have a slice now. So yes, I burned myself (cast iron skillets straight out of the oven are HOT), and yes, it was totally worth it. Next time I’m going to load up the slow cooker with chili and pour the batter on top to make a tamale pie.? I hope you’ll give this a try and tell me how it works out for you! 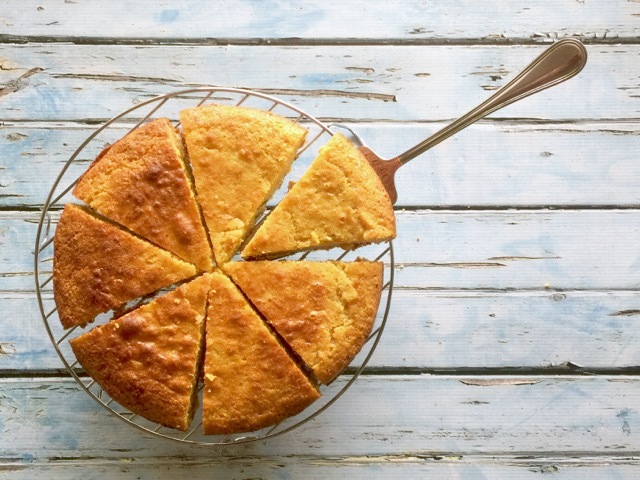 We've perfected this Amish Friendship Bread cornbread so you could make a meal of it! Add corn kernels, chopped jalapeños, black beans, or a side of chili. Preheat oven 400° F (205° C). Oil a 9" cast-iron skillet or round pan. Place in over to preheat. In a large bowl, combine flour, cornmeal, sugar, baking soda, and salt. In a small bowl, combine starter, eggs, oil milk, and butter. Mix well. Create a well in the center of the dry ingredients. Add wet ingredients to center of well and gently incorporate. Do not overmix. Carefully remove the hot pan from the oven. Pour cornbread batter into pan and return to oven. Bake for 25 minutes or until the top browns and the edges begin to pull away from the sides of the skillet.. I love this fb page! I won’t be in the kitchen much this weekend but will be next week! Can hardly wait to taste this, yum! Thanks so much! Can’t wait to try the cornbread. MMMmm. i squirted some Sriracha on the top of it in a zigzag pattern. …. cute and tastes good. Hi Nicole! Those sound amazing! They would make such a great addition to soup or chili. If you make them again and snap a picture, we’d love to see it. You can submit your photo here. Did u ever pour the batter over ur chili in the crock pot? If so how did it turn out? I really want to try it.